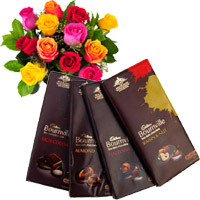 Send Chocolates to Mumbai For those who truly love chocolate, our selection of Valentine's Day Chocolates in Mumbai are sure to get their hearts racing. 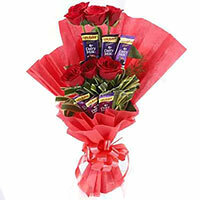 Keeping with modern trends we also design superior chocolate bouquets with decorative trimmings. 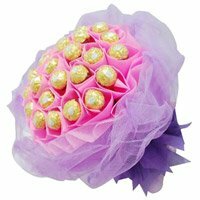 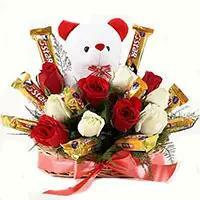 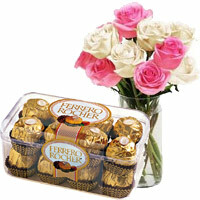 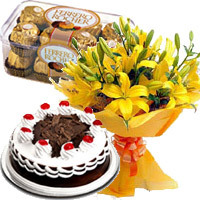 There are exclusive Ferrero Rocher bouquets and those in combination with pretty fresh flowers. 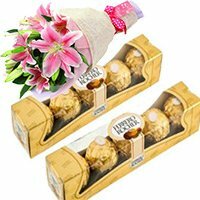 The awesome red and white rose bouquets nesting 96 chocolates look truly appealing, just right for winning a loving heart. 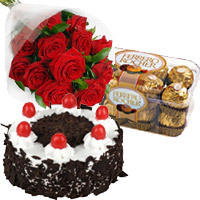 Make, 'happiness with a pinch of sweetness' your motto this year, sending exquisite Valentine's Day gifts to Mumbai, where your sweetheart is waiting for a special gift from you. 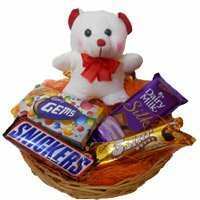 Add a cute teddy as a messenger of love to your gift and see how elated your valentine gets when the gift arrives at her door steps. 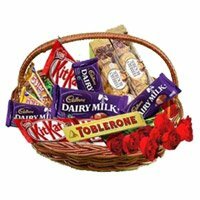 If the gift is meant for your boy friend, get realistic and increase the portion of chocolate choosing the exotic basket filled with assortment of Indian or foreign brands, because boy's have a big appetite! 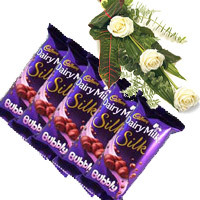 Valentine's Day Chocolates to Mumbai. 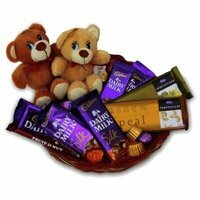 Send Valentine's Day Chocolates to Mumbai. 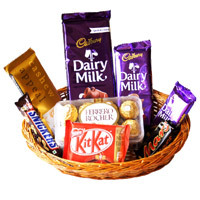 Chocolates to Mumbai. 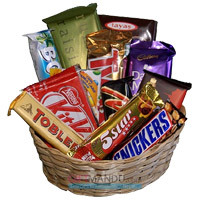 Send Valentine's Day Chocolates to Mumbai.